Congratulations to all contestants! What an inspiring evening! 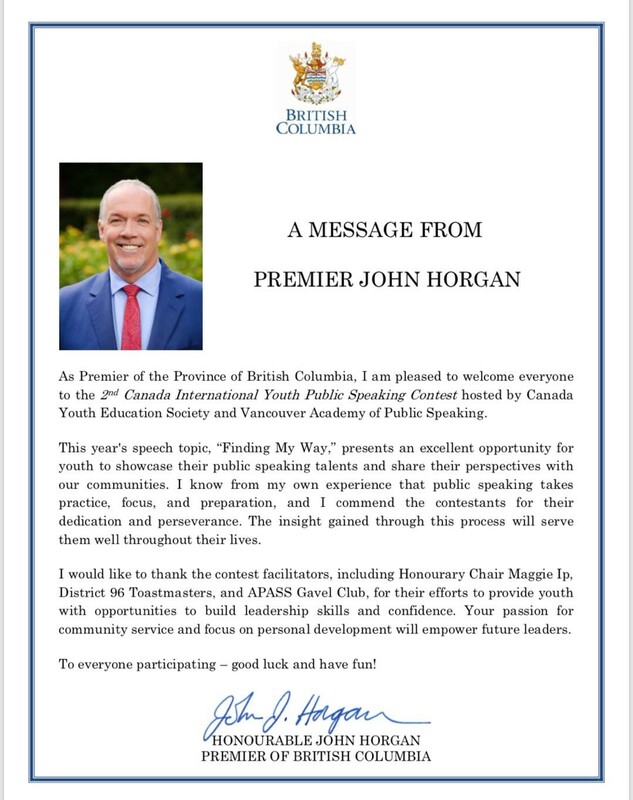 We are honoured to present a message from the Premier of BC, John Horgan, inviting all to attend the Canada International Youth Public Speaking Contest. 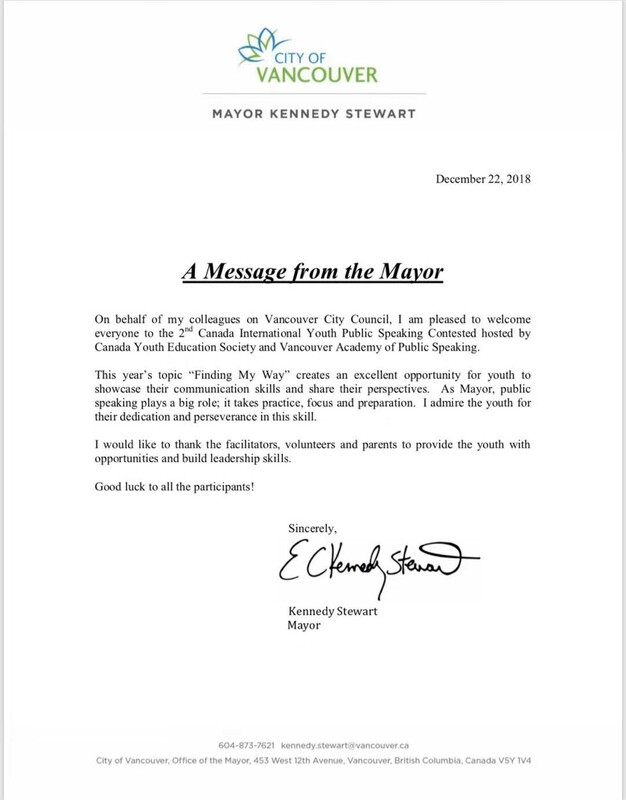 We are grateful to receive this kind message from our new Mayor of Vancouver, Kennedy Stewart. Click to see contestant bios! Click to see judge bios! and our future needs leaders. 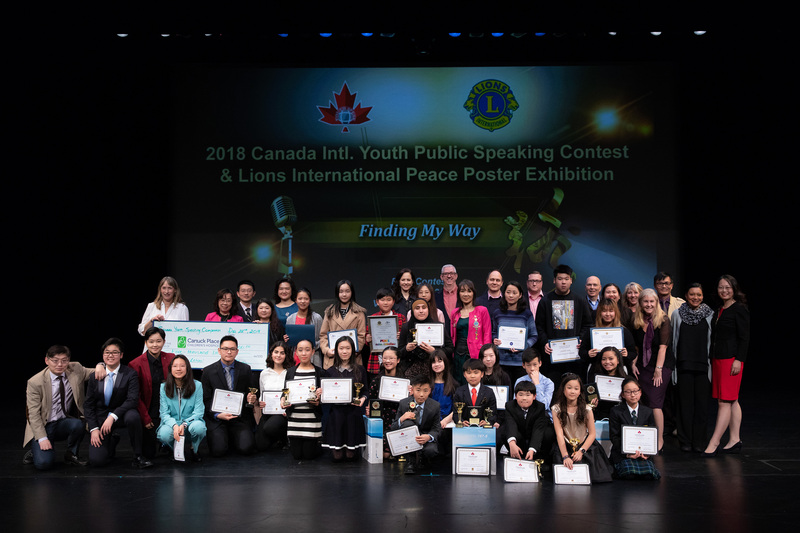 The Canada International Youth Public Speaking Contest emphasizes youth leadership and communication skills, empowering young individuals to achieve greater confidence in future growth. 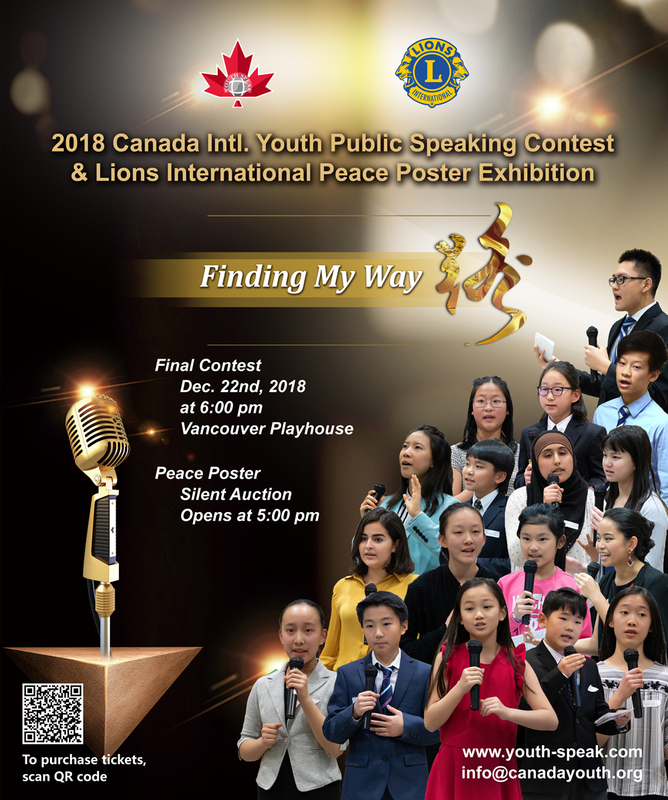 Started as a platform for Chinese-Canadian youths to express themselves and be heard, our contest has motivated many students to develop skill sets in effective communication and leadership integrity. This year, we are expanding our contest to all regions of North America, including Toronto, Seattle, San Francisco, and Los Angeles. Open to youths aged 8-18 of all nationalities, the 2nd Canada International Youth Public Speaking Contest is here to help every contestant achieve their personal best. LAHOO Lions Club International displayed their contestants' Peace Posters for a silent auction. This year's Peace Poster topic is "Kindness Matters." All proceeds supported Canuck Place Children's Hospice.